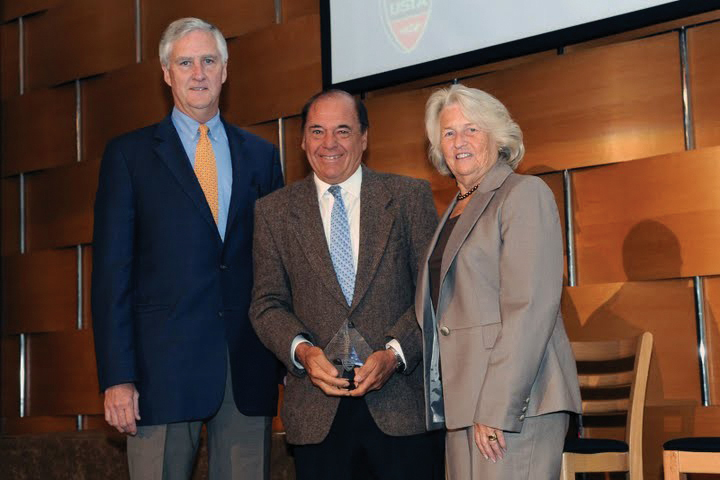 Peter Burwash, President of Peter Burwash International (PBI) recently received the “2009 Faculty Emeritus Award” from the United States Tennis Association (USTA) at the annual USTA Tennis Teachers Conference. The award recognizes those men and women who both through speaking and presentations have made enormous contributions over the years to the Tennis Teachers Conference. Burwash was also the keynote speaker at this year’s event. In 1995, Burwash received the Education Merit Award from the International Tennis Federation for his invaluable contribution to tennis.